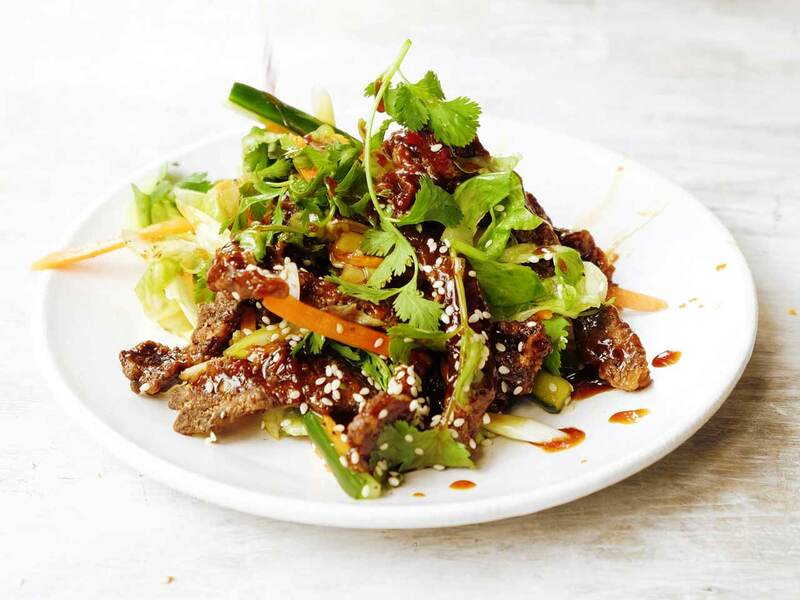 Hugh Fearnley-Whittingstall's recipe for Chinese-style crispy beef salad is perfect for using up leftover roast beef after your Sunday roast. This take-away classic is very easy to make at home with a few handfuls of leftover roast beef – a little really does go a long way when you ramp up the seasoning and spices. First make the sauce. Put all the ingredients into a small pan, simmer for a couple of minutes until thickened, then set aside. Cut the beef into strips, 3–4mm thick. Heat a 2–3cm depth of oil in a wok or a deep saucepan – the fat will bubble up when you add the beef, so don’t use a shallow pan. Heat the oil to 180°C, or until a cube of dry white bread dropped in turns golden in just under a minute. Sift the cornflour and five-spice powder, if using, onto a plate. Toss the beef strips in the cornflour until well coated on all sides. Fry the beef in a couple of batches to avoid crowding the pan. Lower into the hot oil and fry until golden and crisp, which should only take a couple of minutes. Scoop out with a slotted spoon and place on kitchen paper to drain. Let the oil come back up to temperature before adding the second batch of meat to the pan. Mix the orange zest with the flaky sea salt and sprinkle over the beef. For the salad, toss the vegetables together with the rice wine vinegar. Pile the salad and crispy beef onto individual plates. Trickle on the sauce and add a scattering of sesame seeds. Garnish with coriander if you have some to hand. Spicy beef and peppers Add a handful of finely sliced red or yellow peppers, if you have them. Noodly version Serve the salad over noodles with the sauce trickled over and finished with the sesame seeds and coriander. Spicy meat garnish You can use strips of roast beef – or pork, chicken or duck – fried like this in a spicy cornflour coating, to finish all manner of salads or soups. 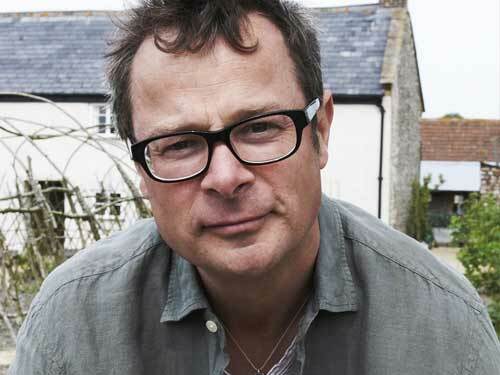 Extract taken from River Cottage Love Your Leftovers by Hugh Fearnley-Whittingstall (Bloomsbury, £20) Photography © Simon Wheeler.